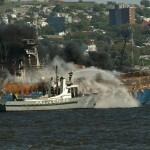 The 48 meter long fishing vessel Jung Woo 3 caught fire while berthed at Montevideo, Uruguay. 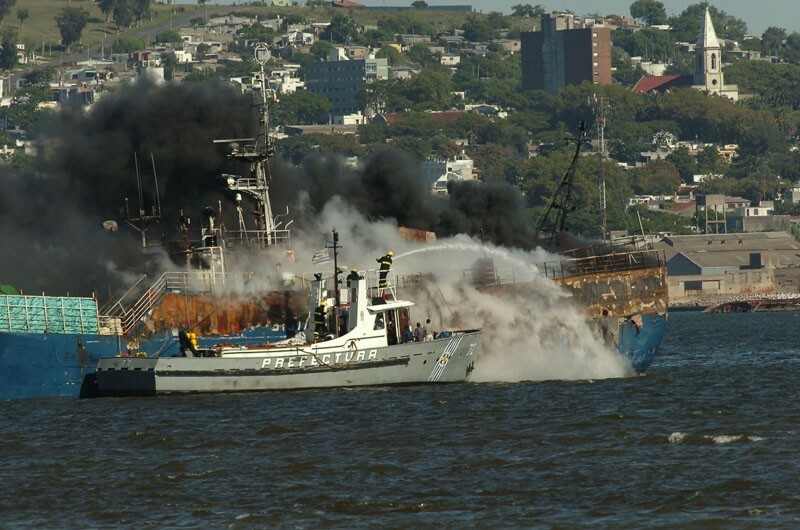 The fire started in the engine room and quickly engulfed the entire ship. 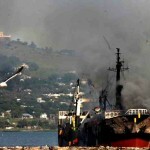 The crew was not able to extinguish the blaze and were forced to abandon ship. 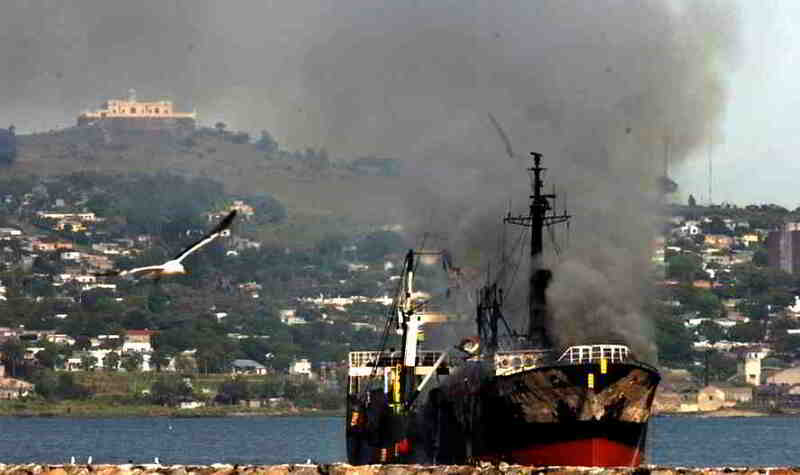 Two crew of the 41 on board died in the fire with another 10 injured crew were taken to hospital. Several crew suffered burns and smoke inhalation. 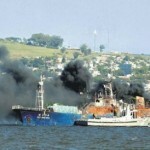 Authorities towed the vessel out of the port to avoid the fire spreading to other ships. 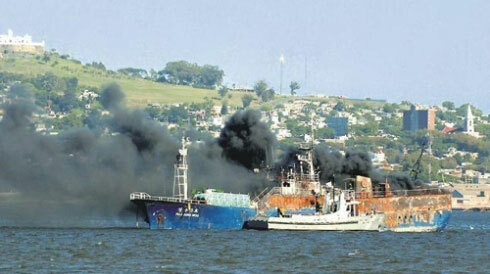 The sister ship the Jung Woo 2 caught fire while off Antarctica in January 2012. 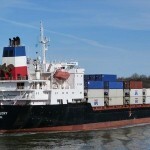 The 87 meter long, 3100 dwt freighter Kaptan Selim went aground in the Dardanelles. 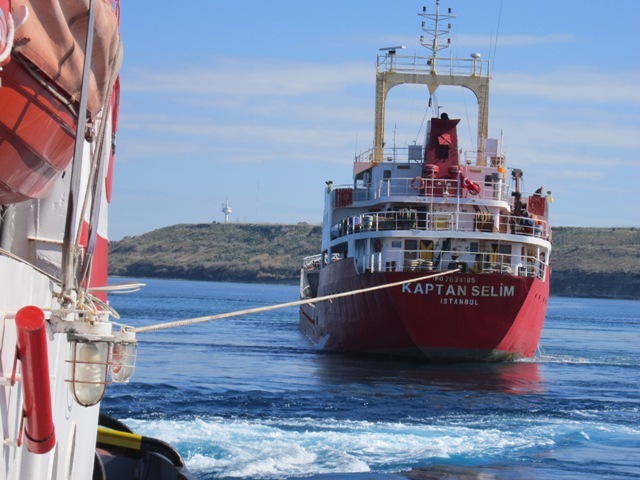 The Kaptan Selim, loaded with 3050 metric tons of cement board, requested assistance from the Dardanelles Vessel Traffic Services Center. 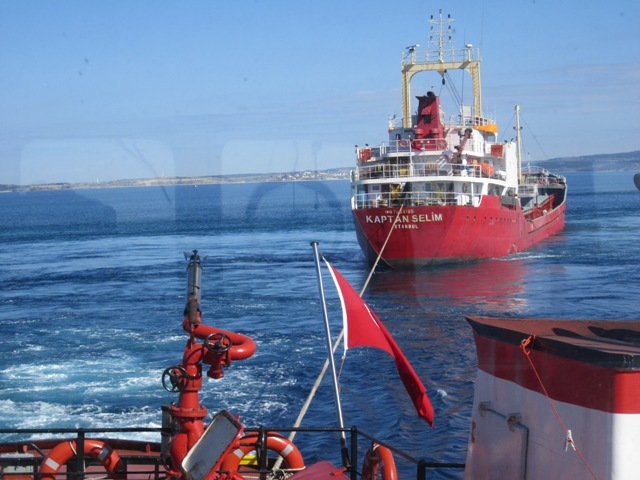 They dispatched rescue boats from the Turkish Coast Guard and a fast rescue tug to the scene. Salvage tugs arrived later and were able to refloat the Kaptan Selim later the same day. No reports of injuries or pollution released. The Kaptan Selim was en route to Canakkale from Novorossiysk. 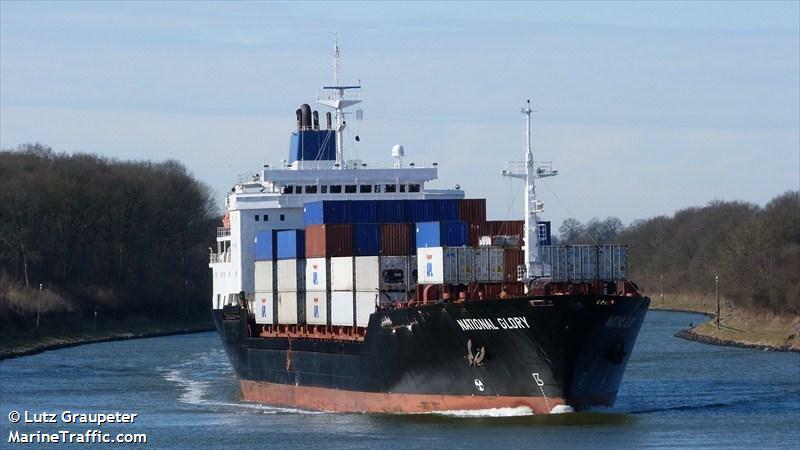 The 149 meter long, 12418 dwt container ship National Glory allided with the locks on the Kiel Canal at Brunsbuttel, Germany. The National Glory had requested tug assistance and was being towed into the lock when the towline snapped. 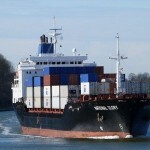 The container ship veered into the lock wall. The vessel suffered dents, damage to its railing and bulwarks and holed along its starboard bow. The lock concrete wall sustained some damage. 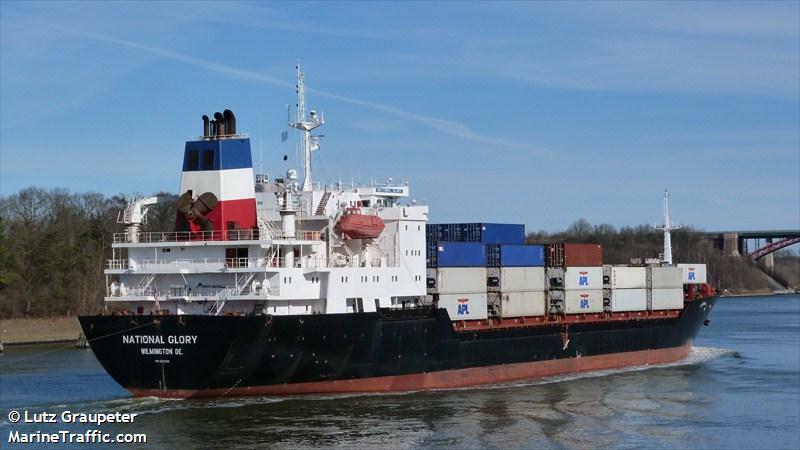 The National Glory proceeded to Kiel for repairs at the Lindenau shipyard. No reports of injuries or pollution released. The water police is conducting an investigation into the incident.